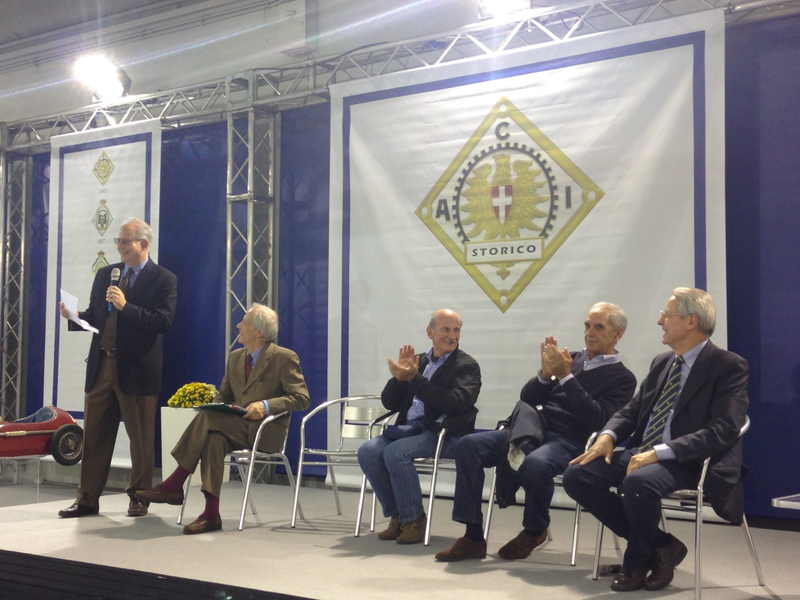 The Padova presentation, delivered in Italian, and happily completed, with Luigi De Virgilio, Gianni Tonti, Sandro Munari and Giovanni De Virgilio onlooking. 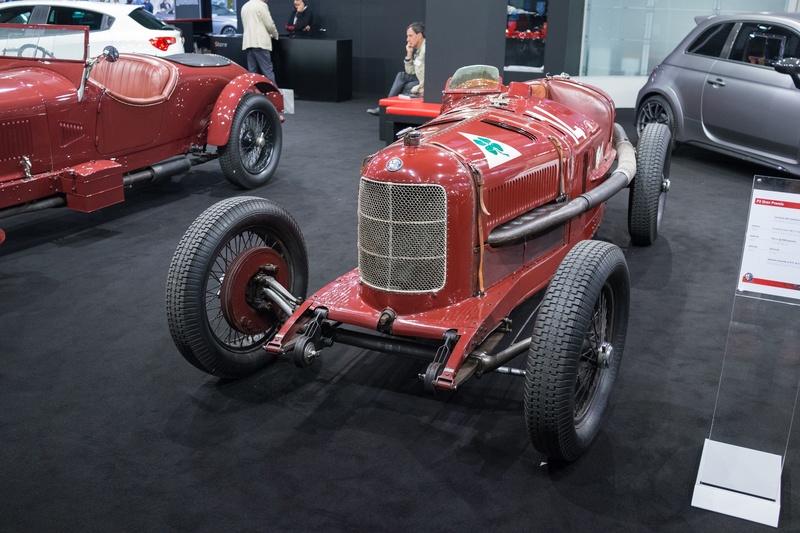 October in Italy is known in the car world for the massive fair at Padova. Dedicated to older Italian cars, there are people showing parts and literature, cars for sale and anything else that might surround those activities. 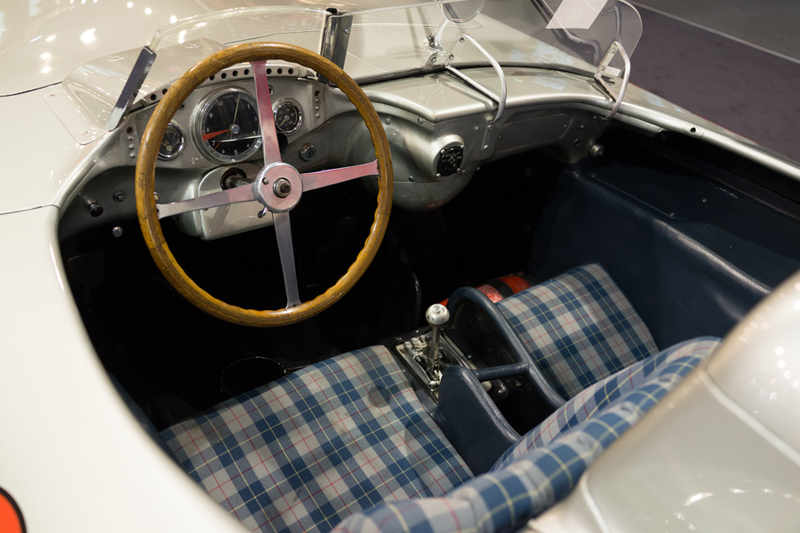 Serious players in the car world are present, including both Alfa Romeo (with their race cars from the 1930s) and Mercedes Benz (with the 300 SLR that looked very much like the one of Stirling Moss and Dennis Jenkinson in the 1955 Mille Miglia), as well as numerous car clubs and organization. 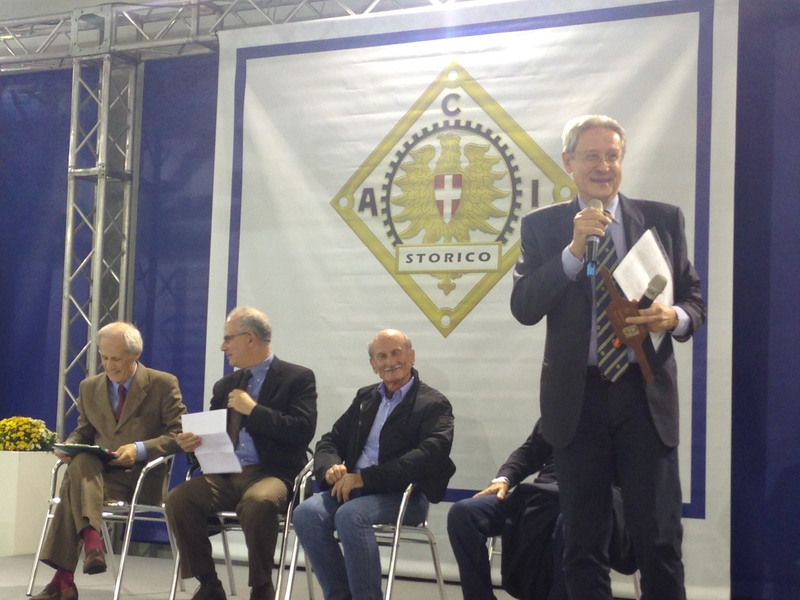 The Automobile Club of Italy (ACI) invited the De Virgilios and me to present the book at the fair. 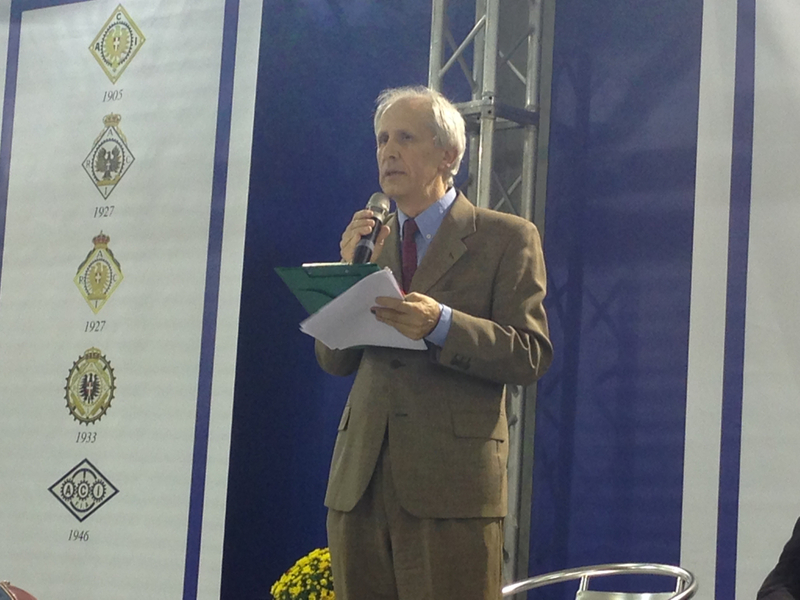 We asked Gianni Tonti to join us in our presentation in front of about 60-70 people. As we were in Italy, the presentations (including mine) were in Italian, much to everyone’s amusement. 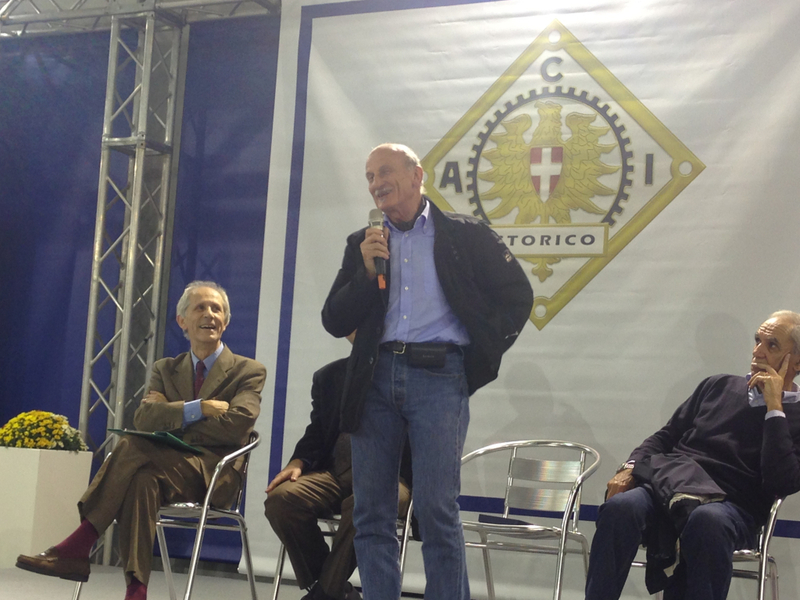 By happenstance, we were also joined by Sandro Munari, famed Lancia rally champion from the 1960s and 70s. This was wonderful as he was a childhood hero of mine. Munari is interested in the recording of the history of those times, and was quite delighted to see the book. 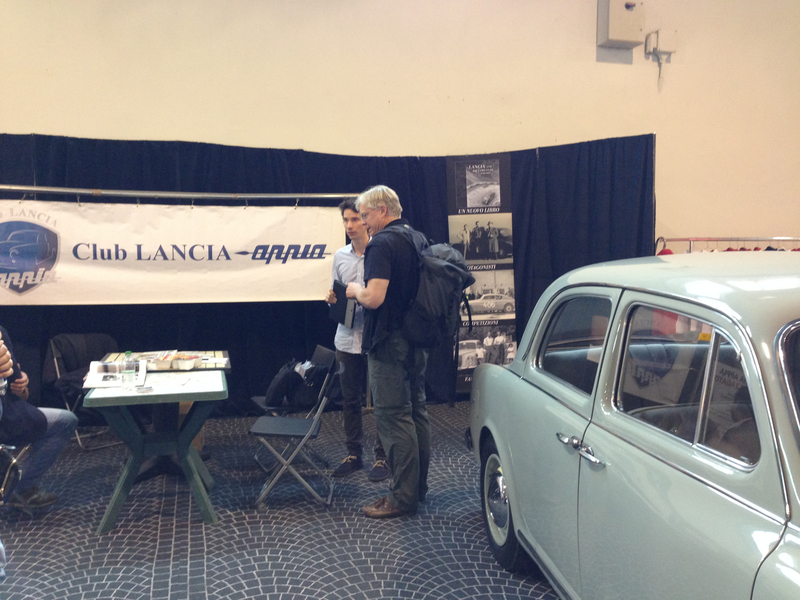 We made our home at the fair at the Appia Club, an Italian group of passionate Lancisti where everyone could collect. My thanks to Matteo Zambelli for hosting us! 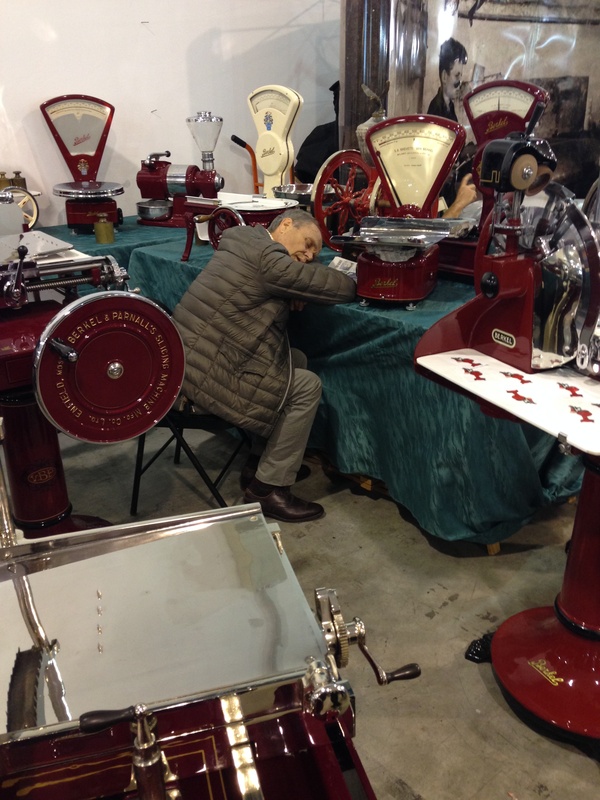 The Padova fair is rather a remarkable place – with some 14 exhibition halls and much remarkable material. 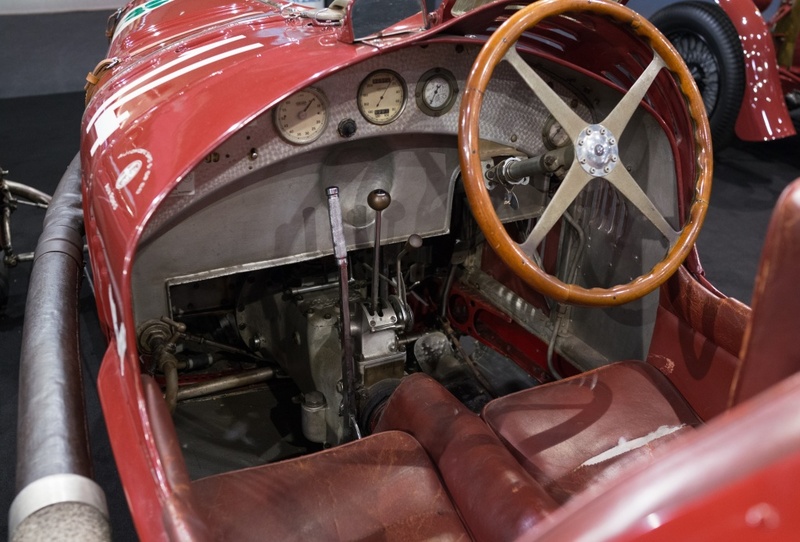 This being Italy, the numerous rooms of car parts, models, literature and cars were also accompanied by chocolate stands, clothing, grappa vendors, and merchants of kitchen equipment, scattered among Flaminia crankshafts and carburetors too many to name. I was able to find a letter written by Vittorio Jano from 1956, and a complete Nardi catalog from 1962, but passed on a Pentaiota owners manual from the 1920s. 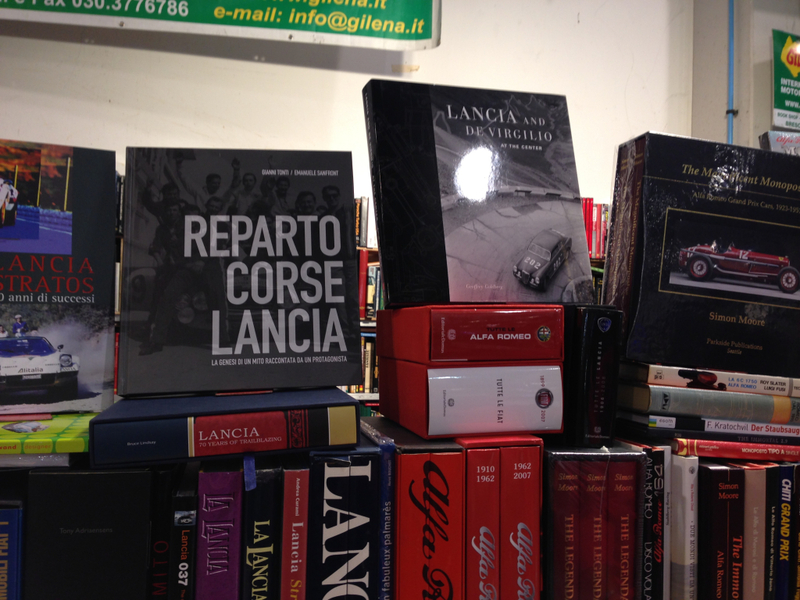 The book is now available at several dealers in Italy, including Gilena and Libreria dell’Automobile (Giorgio Nada) in Milan. They were pleased to see the book, but were eager for an Italian translation. It is not clear if the audience is big enough for the effort that would be required, but it is being considered – possibly as a separate text document. 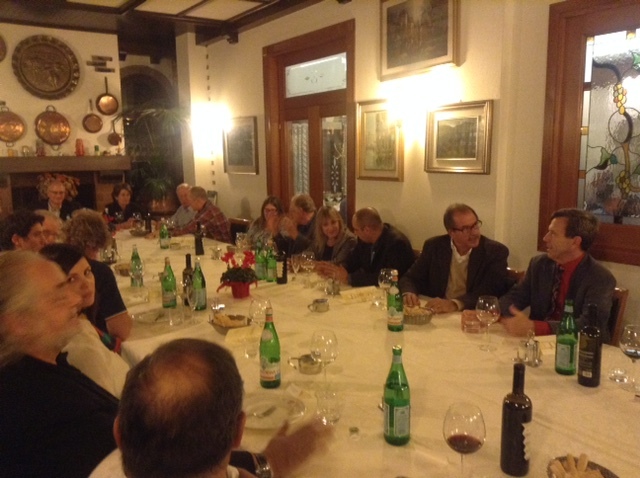 We had a Lancia dinner at Padova with many committed Aurelia fans, from Italy, throughout Europe, and the US. With some 27 people, it was a most enjoyable time. 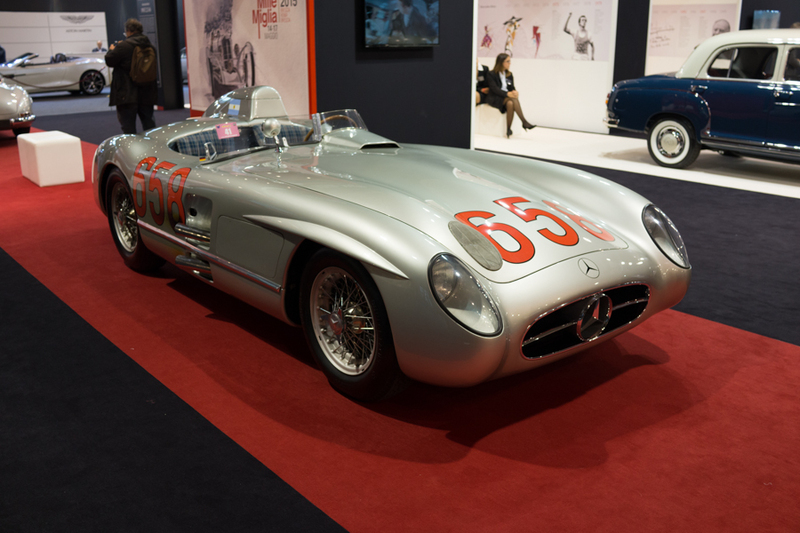 Beppe Reggazoni told of having Aurelias in Cambodia in 1959-1962 but also seeing the Lancias in the 1951 Mille Miglia. 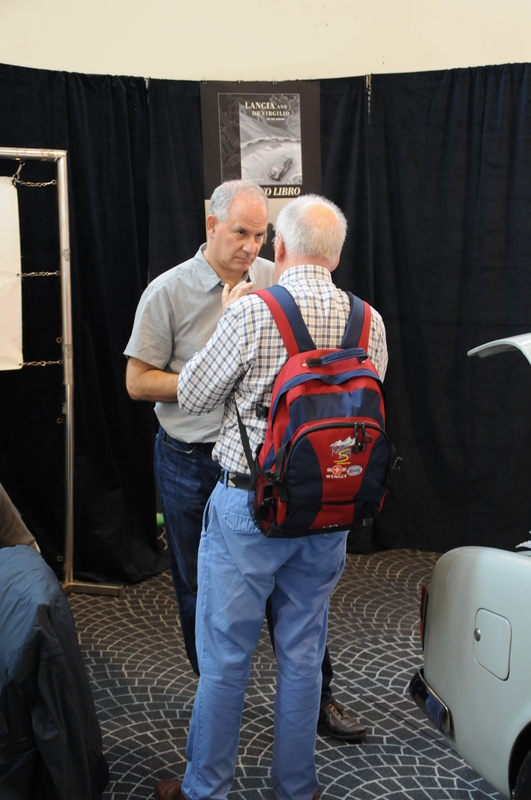 Eugenio Sgaravatti was there, having shown his Aurelia B50 at the fair, an unrestored car in his family since new. Dinner with Joachim Griese, Wayne Kelham, and the Steerman family on the left, with Beppe Regazzoni, Luigi De Virgilio and Niels Jonassen on the right. Giovanni De Virgilio and Sebastien Simon are at the far end. Matteo Zambelli, Martin Willems, Geoff and Chiara Vismara on the left, and Getulio Ferri (Jet) and Tom Frisardi on the right. 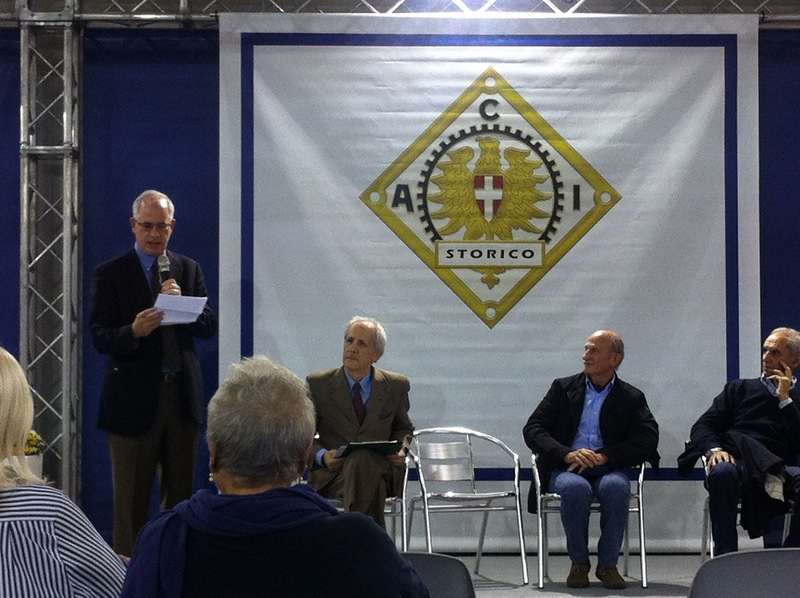 The presentation – author, with Luigi De Virgilio, Gianni Tonti, and Sandro Munari. Luigi De Virgilio shared some thoughts on his father’s work. Giovanni De Virgilio, master of ceremonies! 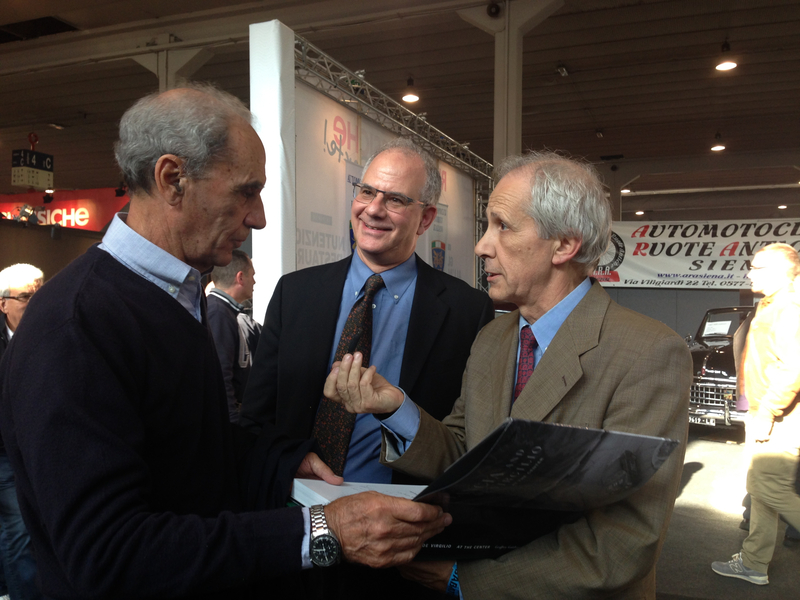 Sandro Munari receiving a copy from Luigi De Virgilio making a point. Club Lancia – Appia, with Matteo Zambelli and Ed Godshalk. Joachim Griese (with backpack) sharing details on the Lambda World Registry with Geoff. book for sale at Gilena’s stand – in tough company! 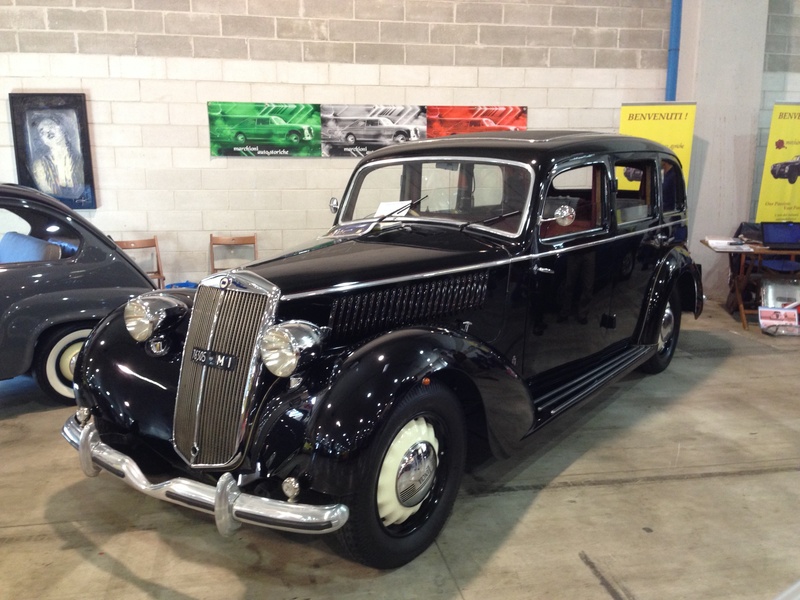 A stunning Lancia Artena limousine for sale. 4500 lbs, and a 4 cylinder, 2 liter motor from 1940 is not a recipe for high performance, but it was beautiful. 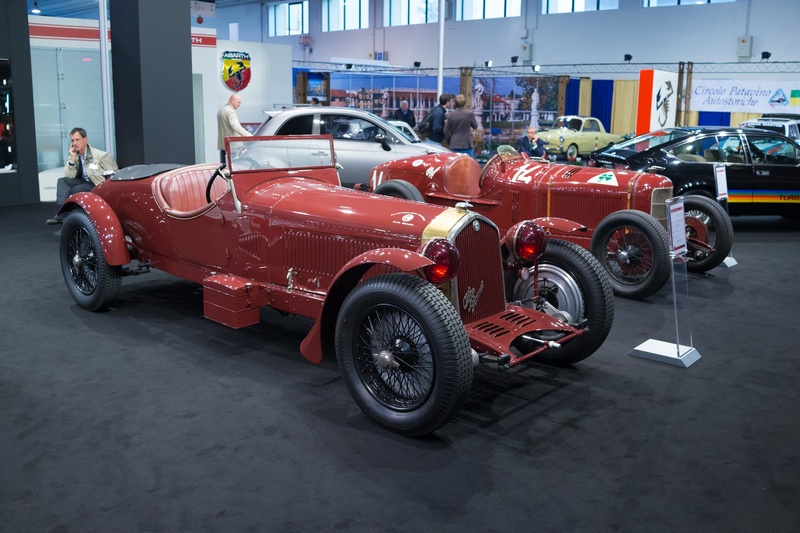 Alfa brought a couple of their race cars from the 1930s. « Book Party – nice time had by all.